Joint DX Review – Is This Product Safe To Use? Joint DX is an all-natural supplement that has been touted to contain essential vitamins and ingredients believed to bring relief to joint pain and other joint related conditions. 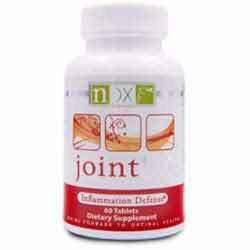 The main objective of Joint DX is to reduce joint pain through reducing joint inflammation from the root source. Being an over the counter product, Joint DX can be readily bought without a prescription. It comes in handy to order the product online since it can be delivered to your doorstep. What is Joint DX and What is The Company Behind Joint DX? Joint DX is a dietary supplement that is touted to be made using all natural ingredients. According to the manufacturer, the process of choosing the ingredients to be used in Joint DX is the most critical and forms the backbone of its effectiveness. Not only do they use well-researched ingredients but they ensure they hand pick and each and every ingredient as a quality control measure. Joint DX is manufactured by a company known as NDX. This company is based in America and they claim that they take pride in providing natural and essential supplements to alleviate and protect the body against pain. They claim that their product is for both the young and the old. In addition to joint supplements, they also offer digestion, weight loss, beauty supplements amongst other all natural supplements. What are The Ingredients Used In Joint DX? Glucosamine – This is an all-natural supplement that is touted to possess the ability to regenerate damaged and worn out cartilage. It has been used in many joint care products and thus it has been proven to be very effective and safe. Chondroitin – This is a product that is usually used hand in hand with glucosamine. It is believed to have the lubricating effect since it attracts moisture into the joints. What are the Pros of Joint DX? What are the Cons of Joint DX? Joint DX doesn’t come with a money back guarantee or free samples. The clinical data on the product has not been published. What are The Possible Side Effects of Joint DX? Joint DX is regarded to be generally safe. This is because it uses mild natural ingredients that are not known to cause any harmful side effects. At the same time, you should not throw all caution to the wind since Joint DX can still cause allergic reactions to persons who are allergic to the ingredients. In case of severe allergic reactions, discontinue use immediately and seek advanced help from your caregiver. Joint complications are very common and thus any product giving natural remedies to joint-related problems are always welcome. Joint DX is a product with a great selection of ingredients. However, we have reviewed several products, have a look at them before buying this product.